This Beverly Center / West Hollywood Area Day Spa is priced for immediate sale, and the best offer we receive will likely take the business. The owner / operator is a licensed cosmetologist that has done facials, waxing, eyelash extensions and perms in the sought after areas since 2003. Unfortunately, she has fallen ill and is no longer able to meet client demand in the manner that she was able to when the business brought in over $150,000 per year in revenues. 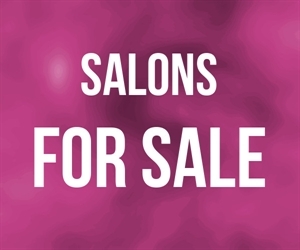 This private salon offers two treatment rooms as well as a reception area allowing a new owner to dramatically increase revenues via the addition on another technician or complementary service provider (e.g. massage therapist, acupuncturist, weight loss specialist, hair dresser, etc.). Market Information and Position: A tremendous amount of growth potential exists given though the seller has been forced to minimize her workload due to unfortunate health condition. As such, she no longer performs microderm abrasion although her clients still seek them, she only comes-in by appointment for a limited amount of time, she does not advertise or allow walk-in clients, she does not put out street signage to elicit new business, and she returned her hydro facial machine to the leasing company as she can only manage to do eyelash treatments, waxing, and occasionally, permanent. Competition: This area is considered to be competitive for day or med-spa services, however, this one person operation has developed a loyal following of locals that should transition to a new owner (the seller has already moved out of the immediate area and commutes in only for the necessary and preferred appointments).